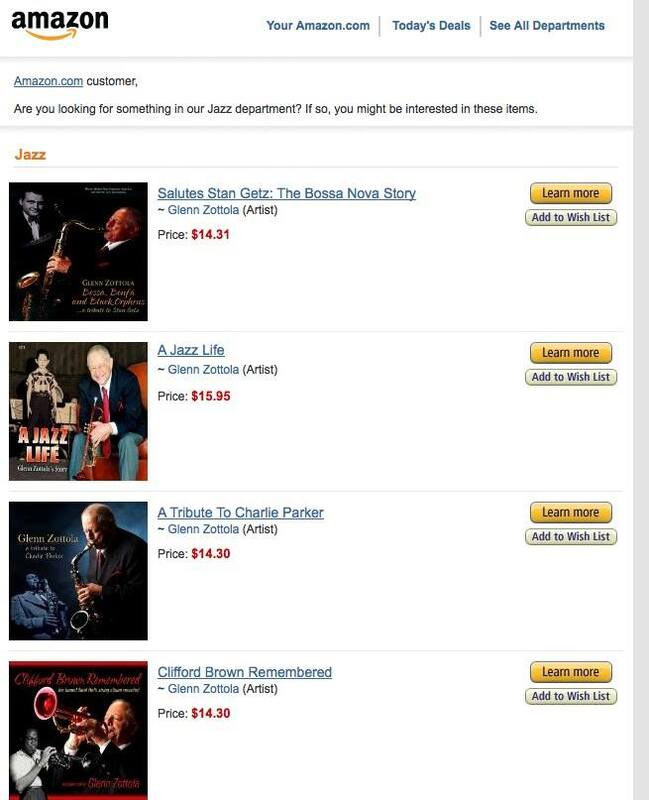 Amazon is promoting my recent releases all on their own. Feel free to go to the Amazon website and write something. All the tracks can be auditioned on my website glennzottola.com or iTunes. They are also available and can be heard on “Best Buy” just type in my name and feel free to review there. The label really likes the reviews and so do I.